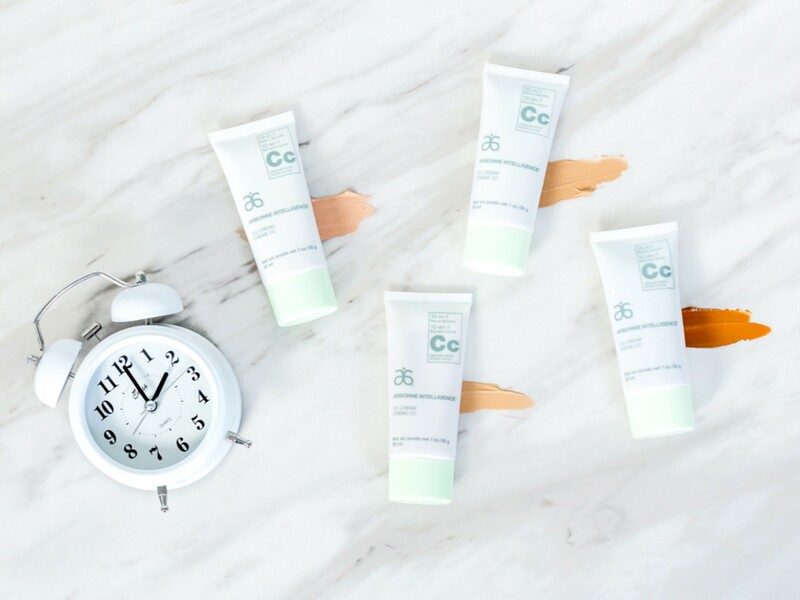 The Arbonne Intelligence CC Cream (£34) is the 10 in 1 Beauty Benefits Complexion Control Cream that is under the spotlight today… and it’s no wonder why! Skincare meets cosmetics to create a beautiful, healthier looking complexion. Smooth and buildable coverage conceals blemishes and dark spots, and minimises the appearance of pores, while botanicals soothe and hydrate. The formula primes, mattifies and brightens for a more even looking skin tone. 1. Primer; 2. Protector; 3. Concealer; 4. Hydrator; 5. Mattifier; 6. Brightener; 7. Blemish Cover; 8. Pore Refiner; 9. Comforter; 10. Complexion Controller. In shades Fair, Light, Medium and Dark.